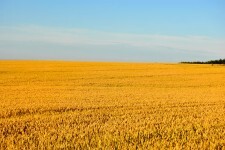 What would a world without GM crops look like? This is a science-fiction piece at the moment, but might come to pass if the fringe anti-biotechnology activists who call themselves environmentalists have their way. The writer, Roxanne Palmer, posits this futuristic survey as a discussion between a well-respected academic, crop scientist Dr. Wayne Parrott of the University of Georgia (who has advised ACSH on matters of ag-tech in the past), and a senior scientist of the Union of Concerned Scientists, Dr. Doug Gurian-Sherman. Unfortunately, while this piece has some informative specifics about the contributions of biotech to agricultural production, the overall message turns into a he said, he said pseudo-debate about the problems that might or might not redound upon us if GMOs were banned, as the scientists of UCS would prefer. Dr. Parrott points out the disappearance of certain vitamins from Cheerios (General Mills) and from Post s Grape-Nuts, when they decided to go GMO-free. He also asserts that absent GMOs, farmers would have to plow more, which means more fossil fuel use and erosion, plus labor costs. They'd have to use more insecticide. Many farmers would probably switch from the herbicide glyphosate (which several GM crops are specially designed to resist) to other kinds of weed killers. Plus, any yield gains over the past 20 years would be largely nullified. So, asked Ms. Palmer, wouldn t those changes cause some bump in prices for those processed foods that use GM corn and soy? The UCS s Dr. Gurian-Sherman remained unimpressed by the professor s dire prediction: In most foods, the GMO component is a very minor ingredient...even if costs of production went up, the impact on consumers would be tiny, Gurion-Sherman says in a phone interview. The vast majority of the cost of processed foods is in the processing, marketing, packaging, and shipping. But there are more concerns, at least among science-based experts. The real pain in the wallet in a post-GMO world would stem from GMOs' most common use: food for livestock. The cost of feed would go sky high if GMOs disappeared, Kevin Folta, a plant geneticist at the University of Florida, says. That cost of feed would likely be felt as a rise in prices of meat and dairy. Dr. Parrott again: Producing non-GM grain will never be as cheap and efficient as GM grain production currently is. And worse, this trickle-down effect on meat and dairy prices would most likely be felt by the poorest citizens. Anything that raises the financial or environmental costs of food production always affects the lowest income sectors the most. Now again, the UCS person disputes this: GE crops are a handmaiden to this type of agriculture that we know is not sustainable, Gurian-Sherman says. These crops are being used as an adjunct to industrial agriculture...which is a recipe for disaster. The author quotes Kevin Folta, a plant geneticist at the University of Florida, who says that the true impact of a world without GMO crops would be lost opportunities. Anti-GMO sentiment is also undermining the progress of untold amounts of research that could realize further potentials of genetic engineering. There are thousands of solutions in public labs...that will never come out because the process of approval takes so long and is so expensive that the only people that can play in that space are the big companies, Folta says. ACSH s Dr. Gil Ross had this comment: The writer describes the UCS scientist as being on the skeptical side of the GMO issue, as opposed to telling it like it is: he and his group are fringe anti-chemical activists, their concern is based on the precautionary principle which, if implemented stringently, would effectively bring ALL progress to a halt. Yet, he is given equal weight with the academics. Yet a third scientist appears towards the end to bring up Golden Rice, still on the shelf, unable to save hundreds of thousands of impoverished Asians thanks to mindless opposition, such as that of UCS. My main concern with this is simply: Why is this discussion happening? Over the 17 years of GMO cultivation, millions of hectares, hundreds of millions of servings, not one verifiable instance of adverse health or environmental effects! There is no reason for a debate let science prevail and help feed the world!